The recent Menu Pet Food Recall producing kidney failure in a number of North American Pets could have been avoided with stricter pet food standards. Nelson, BC (PRWEB) March 29, 2007 — Menu Pet Foods has recalled over 91 brands of North American Dog and Cat Food as a result of a banned rat poison called aminopterin found in wheat gluten. It has affected more than 6,000 dogs and cats, primarily causing kidney damage. This could have been avoided with stricter Pet Food standards. Dr. Andrew Jones, a practicing veterinarian and author of a Natural Pet Health book called Veterinary Secrets Revealed, claims that stricter requirements on Pet Food manufacturers could have prevented the kidney toxin aminopterin from harming many North American dogs and cats. The toxin aminopterin was found in wheat gluten, which is a cereal protein. The availability of nutrients from wheat gluten is very poor. Most of the nutritional value of this carbohydrate escapes digestion in dogs and cats. This carbohydrate is added to dog and cat food primarily as a “filler”. It expands the volume of the food, while providing no nutritional benefit. The top ingredients in most dog and cat foods is some form of grain product. Cats are true carnivores- they must eat meat protein to survive, yet most North American cats are fed grain based diets. Dr. Jones advises that pet owners choose their commercial pet food by selecting only premium quality holistic brands that list animal protein as the first ingredient and have no wheat gluten or by-products. For additional information on The Menu Foods Pet Food Recall contact Dr Andrew Jones at support(at)veterinarysecretsrevealed.com. 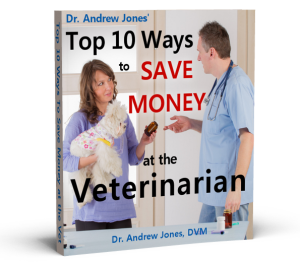 Dr. Andrew Jones has been a practicing veterinarian for 15 years, and author of a Natural Pet Health Book called Veterinary Secrets Revealed. He publishes a daily natural pet health newsletter, Veterinary Secrets, has written extensively on Pet Food, and given many seminars on Natural Pet Health. As I search for reliable information on nutrition for my little dog I find too many sites that appear to be mostly hype and more that are anxious to sell something. I will accept your offer of a free download but will very quickly be turned off if I find myself being offered “opportunities” to buy things or if I begin to receive too much unwanted email.